Do You Know Where Your Luxury's Been? Deluxe: How Luxury Lost Its Luster by Dana Thomas is a smart, insiders read on the current state of the luxury industry. It serves as a bit of an exposé on how luxury brands are really sourcing their materials, manufacturing their goods, and making profits. If you enjoy luxury fashion products, it’s worth a read, so the next time you drop some coin, you can do it with eyes wide open. And after you read this book (or if you already have), pop over to Kat’s blog where she did a great follow-up interview with author, Dana Thomas. Because Who Hasn't Wished They Had a Stylist in Their Pocket? The Pocket Stylist by Kendall Farr is chock full of little fashion tips and tricks straight from the mind of a bona fide fashion stylist. I’ve learned a lot of great tidbits from this book & have referenced back to it many times over the years. Inside are tips on how to figure out your body type, what quality looks and feels like for a number of items, and the most flattering attributes to look for according to your shape, just to name a few. Tim Gunn’s Fashion Bible by Tim Gunn & Ada Calhoun is a great, easy to read fashion history and reference guide. Ever wonder how denim became so popular? Tim will tell you. Curious about the history of skirts? Tim will tell you. Tim’s written voice and knack for teaching makes the history of the items in your closet fun to read, and his enthusiasm for the subject is palpable. 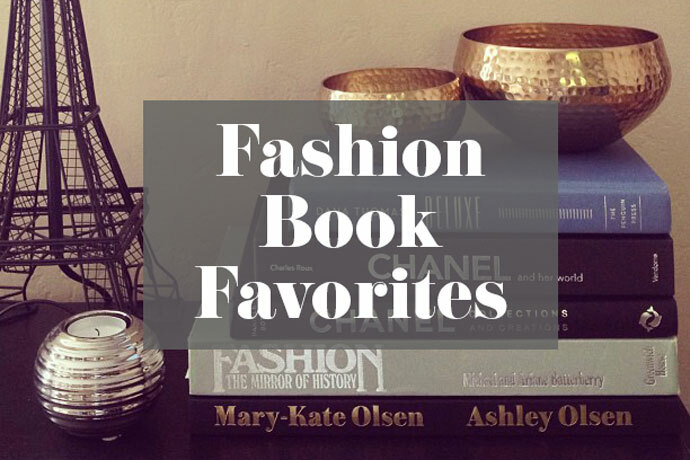 The Beautiful Fall by Alicia Drake is a biography loving fashion girl’s dream. This is one of my all time personal favorites. The book takes a look at the wild youths of Yves Saint Laurent & Karl Lagerfeld in the 70’s and 80’s. A detailed account of their rivalry, love lives, and ups and downs as told by friends, family, and muses. It’s a touching book that pulls open the curtain to reveal the human beings behind the fashion Wizards of Oz that are YSL and Karl Lagerfeld. Chanel: A Woman Of Her Own by Axel Madsen is an unauthorized biography of Coco Chanel (the authorized one, Chanel And Her World by Edmonde Charles-Roux, is largely a puff piece approved by Chanel herself and written by her personal friend) that delves into the monolithic character that is Coco Chanel. I found this book to feel honest, as it did not gloss over some of the more controversial points in her life, and portrays her as a human being navigating the ups and downs of life, instead of a mythical creature of chicness that many books make her out to be. Great effort is put into discovering the ugly truths of Coco’s life, many of which Coco took great pains to hide. If you love Chanel, this is a fascinating read! Alexander McQueen: Savage Beauty is my favorite coffee table book. Published to compliment The Met’s exhibition of the same title, this book captures the work of late designer Alexander McQueen in such a visually stunning way, it evokes haunting emotion. Even if you’re not a huge McQueen fan, the way this book captures the mood and details behind his work is breathtaking. Minding The Store by Stanley Marcus is next on my reading list. I’ve heard nothing but great things about this book! It’s a memoir by Stanley Marcus, the legendary retail-genius behind his namesake department store, Neiman Marcus. It’s described as a history of the department store, sprinkled with the retail philosophies that made Neiman Marcus so successful. I’m excited to read it! Bill Cunningham New York is not a book, but a wonderful film documentary about the iconic New York Times photographer, Bill Cunningham. Bill’s sweet, shy disposition and passion for documenting New York street fashion is so endearing and heart warming. I wish I had half the passion Bill has for his work. Mr. AN and I watched this just before we visited NYC for the first time, and got incredibly lucky to catch a glimpse of Bill Cunningham in action as he photo documented the scene outside New York Fashion Week. It was a highlight of our trip! Love the new site layout btw, it looks amazing!